We are looking forward to having a great year with a lot of fun-filled activities with your children. Our goals are to help children separate and transition easily into a school environment by creating a warm, nurturing, and inviting environment. Our class is designed to introduce your little ones to their first academic experience. Our small class size allows us to ensure that each child receives the care, attention, and support they need as they learn how to interact in the classroom environment and with peers. 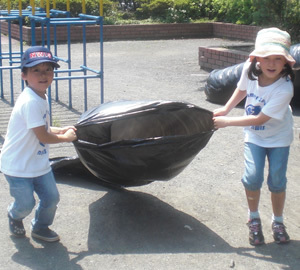 Emphasis is placed on social interaction with age appropriate activities and themes that are fun and stimulating. The students learn to identify letters, numbers, colors, and shapes. They develop their fine motor skills with crayons, paints, puzzles, blocks, and various art activities. Value is placed on a daily positive experience. The program for our 3 to 4-year-old classes is based on a specialized thematic curriculum featuring their letters, shapes, colors and numbers. We aim to have our K3 say their alphabet, identify upper and lower case letters and know their sounds (phonics). They are taught to recognize their colors as well as recognizing their own names in print. Our Handwriting Without Tears® program assists in the development of their writing and fine motor skills. Our K3 can count, write their numbers, and understand the values of those numbers. They can recognize basic geometric shapes and are able to place objects in order of size. Our curriculum considers the different development levels and needs of each child. Because we realize how important it is for children to learn through play, we strive to provide a mixture of group and individual activities to create an inviting and exciting classroom environment. We have developed an original approach to language acquisition which helps our students to become bilerate. Our goal is to make each day a successful and positive experience for each child. Our goal is to provide a curriculum that will give a child a strong foundation intellectually, physically, and socially. We have developed a year-long program where each monthly theme is linked to the next in order to give our students the opportunity to build upon previous knowledge and continue to progress in their intellectual, physical, and social development. Our curriculum is adapted to match the developmental needs of each child at each particular stage in their natural development. The program also incorporates math and science, language art, gross motor skills and learning centers. Learning centers are areas within the classroom each with their own special focus (Language Arts, Mathematics, Science, Social Studies, etc) that the children are free to choose from, this gives each child the independence to decide a part of their own learning experience each day. The program is offered in a very hands-on method that serves to enhance a child's learning experience. K4 learn phonics, sight words, family words, and simple reading. We also cover logic/math smart, numerals, odd and even numbers, measurements, patterns, addition, and subtraction. NWIS offers activities and choices that stimulate a child's sense of curiosity. We strive for a well measured balance of play, discovery and participation to be blended into our day for maximum learning. The Kindergarten progam at NWIS is a one-of-a-kind, superior program. 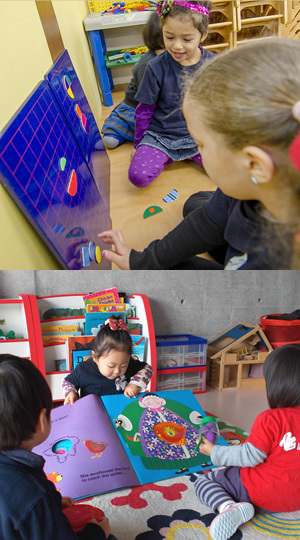 During their kindergarten years, children are at the Pre-logical Thinking Stage of their development and we aim to help them fully develop four important abilities: Observation, Assumption, Logical Thinking and their English. Here at NWIS we consider kindergarten to be a place where children are preparing for International Elementary School and as such we place a lot of emphasis on helping our Kindergarteners to acquire the necessary skills to enter this next stage of their educational career. We teach our Kindergarteners to recognize basic sight words and help them to read simple books. We encourage the development of their oral language and fluency through storytelling and reading. Our mathematics program is an exciting world of addition, subtraction, geometry, understanding the value of money, telling time, and measurement. When children graduate from our Kindergarten class, we hope they leave feeling confident, intellectually curious, physically fit and aware of how they affect the people and the environment that they inhabit. 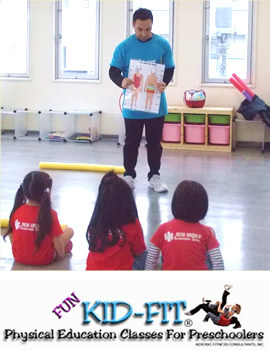 Designed by health & fitness and early childhood professionals, KID-FIT(R) is a preschool physical fitness education program designed to instill healthy lifestyle habits in children ages 2-5. It teaches small children all about their bodies through the use of fun props and non-stop exercises including: balancing, sports skills, cardio, muscle strengthening, stretching, and relaxation. Topics such as the heart, muscles, bones, brain, mouth, and nutrition are a regular part of the KID-FIT（R） program. Music Together (R) is an internationally recognized early childhood music program for infants, toddlers, preschoolers, kindergarteners, and the adults who love them. First offered to the public in 1987, it pioneered the concept of a research-based, developmentally appropriate early childhood music curriculum that strongly emphasizes and facilitates adult involvement. 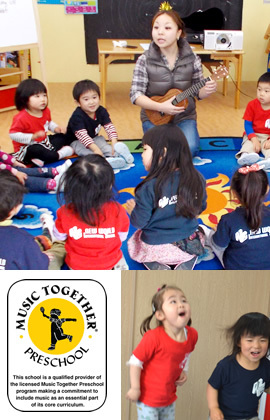 Music Together (R) classes are based on the recognition that all children are musical. All children can learn to sing in tune, keep a beat, and participate with confidence in the music of our culture, provided that their early environment supports such learning. In cooperation with the Music Together program, NWIS is proud to offer its students weekly lessons in our preschool and kindergarten day program! Early drop off and/or extended day programs are available from 8:00am to 7:00pm. Our early morning drop off program is designed for those parents who need care for their children before the start of our day, which begins at 9:00am. With the program you are able to bring your child to school as early as 8:00am. 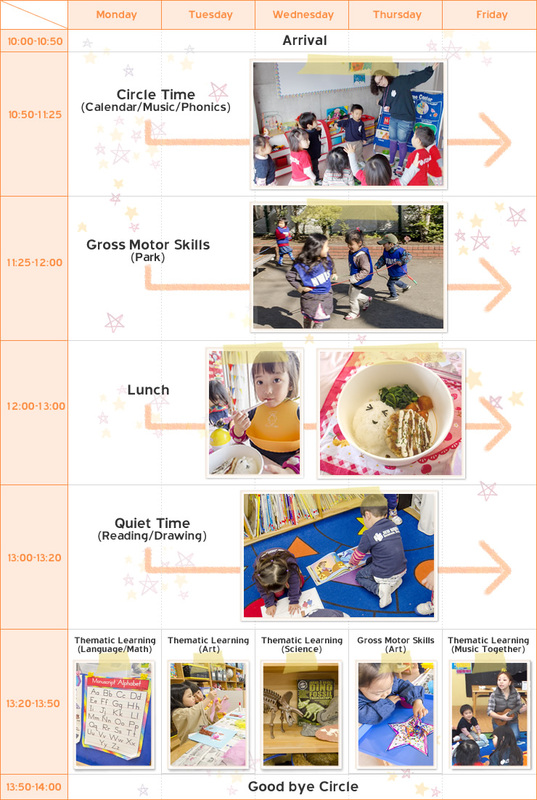 Our extended day program is an extension to our full day program that is available as late as 7:00pm.During this time the Kindergarten children are engaged in a variety of planned activities and the preschool children are supervised by our teaching staff. It is a fun-filled afternoon that your child will surely enjoy! The playshool program offers child care on scheduled school closure days. These days are designed to be fun experiences allowing the children to engage in a variety of activities. Only families registered by the beginning of the term may attend. Program are different from the regular class and care givers might different from the regular stuff. All of our Preschool, Kindergarten students and the graduates are welcome. Come join us for a one week experience at an international school! During those long school vacations (Summer, Winter, and Spring Break) we offer a number of one-week-long courses. Rather than just teaching English, the goal of these courses is to introduce students to a variety of themes using a number of approaches (based on the theory of multiple intelligences) in an entirely English environment.Your child will have a great time cooking, creating art, engaging in science experiments, and having fun in the water with their new (or old) friends and teachers. Extended Daycare: If you would like, you can sign up to drop off your child as early as 8:00 or pick them up as late as 18:00.